Victorinox Swiss Army (VSA) is proud to announce the addition of our second official e-commerce retailer, Ben Bridge Jeweler. VSA has been very deliberate in moving into the world of e-tailing slowly, choosing partners with a reputation for outstanding customer service and integrity. In fact, VSA does not even sell to consumers directly on it’s own website, making the designation of “Official e-tailer” exclusive indeed. The partnership between VSA and Ben Bridge will allow for an excellent e-commerce shopping experience for consumers nation-wide, backed by a strong brick and mortar presence enjoyed by Ben Bridge in the Western and Pacific regions of the United States. As an official e-tailer, Ben Bridge will now carry the entire VSA product line in their downtown Seattle flagship store. This allows any Ben Bridge sales associate easy access to the full complement of VSA styles to satisfy even the most discerning VSA enthusiast. VSA is excited about this enhanced partnership and will continue to support and develop the program to ensure it’s success. 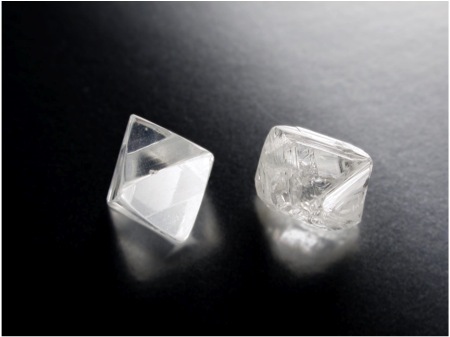 Build Your Own Ikuma Diamond: From rough to polished! 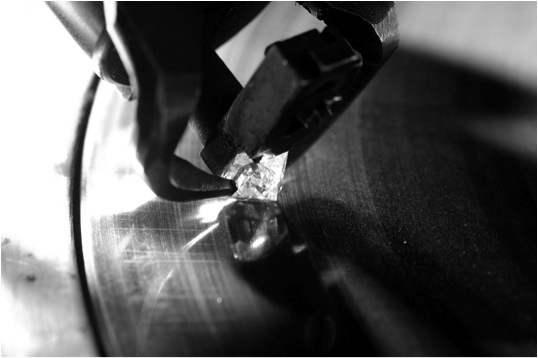 This week we will be presenting a unique bespoke opportunity: the chance to select a rough diamond and decide exactly how it will be cut. 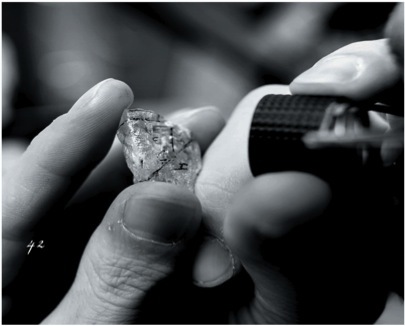 Never before have customers been able to participate in the life of their diamond from its rough stage to finished piece. Friday and Saturday (May 7th and 8th) in our Alderwood store in Seattle, we will have a large selection of rough (uncut, unpolished) diamonds for customers to view. A customer will be able to purchase a rough diamond and decide how it will be cut and polished (shape, size, number of finished stones from a piece of rough) and can select or design a piece of jewelry for the make-to-measure diamond to live in. The diamonds each originated in the Victor Mine in Northern Ontario, Canada. Aided by the latest in 3D modeling technology, we will present a number of different options for cutting each rough stone. A customer might choose a single Ideal cut diamond, princess cut, or other popular shape. She might also choose to fashion two matching finished stones from a single piece of rough–perhaps for a perfectly matched pair of earrings. 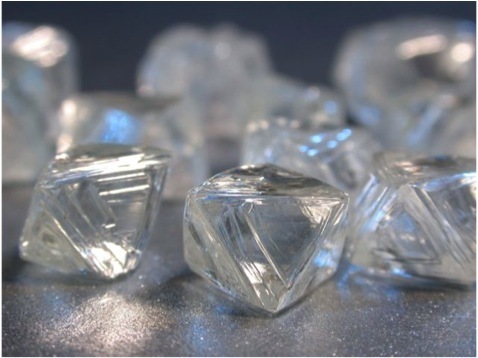 Alternatively, the rough stone could be cut into two diamonds, one larger and one smaller. In this way, a couple could each wear a diamond from the same piece of rough. There is a wonderful symbolism for each partner to wear pieces that have been together for millions of years. For more information, please call Regina Aiello in our Alderwood Mall store, (425) 771-7227. It was a fun weekend in Omaha! Before the meeting began, there was a very amusing movie featuring Warren and Charlie and a few friends. This year’s movie included ABC’s Desperate Housewives plotting to land a billionaire and ending up with Charlie. Another segment had Warren pitching for the Boston Red Sox and striking out Alex Rodriguez to win the AL pennant. The movie included a preview of a new animated series called “The Secret Millionaires Club,” where Warren teaches kids about financial literacy. There was also a cool video showing the history of Berkshire’s latest acquisition, Burlington Northern Santa Fe. BNSF dates back to 1849 and the railroad “Empire Builder” James J. Hill. BNSF has played an integral part in the growth of the United States and it is exciting to have the railroad as part of the Berkshire family. Another highlight of the event is the chance to visit many Berkshire companies in the convention hall adjacent to the arena where the meeting takes place. Companies ranging from See’s Candy to Justin Boots, Dairy Queen, GEICO, and Fruit of the Loom hawk their wares to shareholders. Watch the video for more on that. 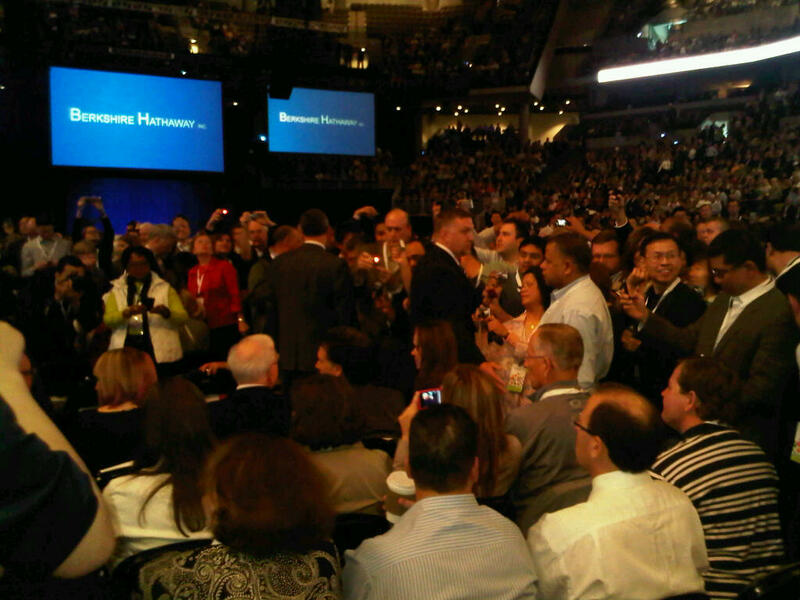 Because of the growth of the meeting, to get good seats we had to be in line at 5:45am! As unpleasant as it sounds to stand outside in the cold Omaha morning, waiting to get in only adds to the festival atmosphere of the meeting. It is so much fun to meet shareholders from all over the world and swap stories about meetings past, the boss, and speculate as to what Warren’s take will be on a great many issues. It is truly a unique weekend–unlike anything else I have ever been to and likely unmatched by anything in the world. It is a fitting tribute to one of the world’s most admired and distinctive companies. I look forward to next year’s meeting and encourage you to make plans to get to Omaha at least once for a spectacle unlike any other. From the floor at BRKFest 2010! For the past ten years, Ben Bridge has been a proud member of the Berkshire Hathaway family of companies. Every year a number of us from the company join the thousands of pilgrims who make the trek to Omaha, Nebraska for the annual meeting that has been called “Woodstock for Capitalists”. This year is no exception. Marc will be blogging from Omaha this weekend, and if he is really nice to her, our favorite travel blogger Lisa might contribute a word or two! Last year more than 35,000 shareholders filled Omaha’s Qwest Center (and a number of nearby overflow rooms) to listen to 6 hours of questions and answers with Berkshire Chairman Warren Buffett and Vice Chairman Charlie Munger. With the purchase of Burlington Northern Santa Fe Railroad, the stock split, and the company’s addition to the S&P 500 Index, thousands of new shareholders will be flocking to the Cornhusker State to learn from the masters. 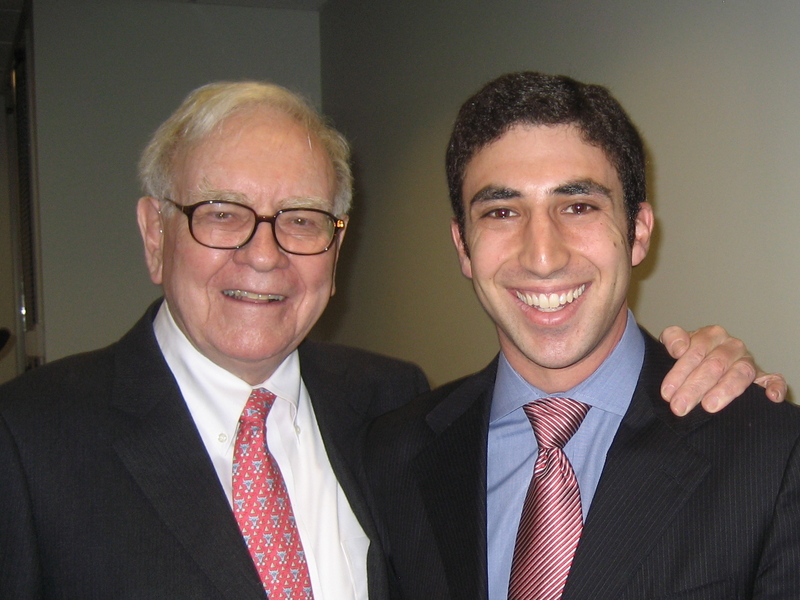 “The Warren and Charlie Show”, as it is affectionately known, regularly covers topics as far reaching as the relative performance of the US economy, the impact of derivatives and government regulation, the rise of China, what small children should do with their lives, and every once in a while touches on the performance of Berkshire businesses in between bites of See’s Peanut Brittle and Cherry Coke. (Berkshire owns See’s Candy and is the largest shareholder in Coca-Cola). In addition to the meeting itself, the weekend has sprawled into a celebration of business, investing, old-fashioned American values, and Omaha steaks. It is as much a carnival as a business meeting and the perfect embodiment of the Chairman’s worldview. It is always an enjoyable, educational, and fun weekend. I hope you will check back periodically for updates from BRKfest 2010!